The “Green Shed”, located at The Showgrounds, Main Western Rd., Mt. Tamborine, Queensland, is the local market for fresh, mostly organic, fruit & vegetables, and is open EVERY WEEK on Sunday mornings from 7.00am to noon. We also sell flowers, honey, nuts, herbs & plants. 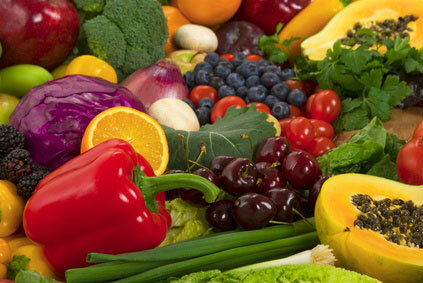 A wide variety of high quality, freshly picked, mainly organically grown produce, is always available. The range available, depends on the season. Prices are set at a level which provide farmers a financial return sufficient to encourage them to continue their farming activities. Tamborine Mountain is the source of an enormous variety of horticultural produce: avocados, kiwi fruit, rhubarb, vegetables and flowers. There are many large, specialist orchards, but much of the production comes from small farms or large residential blocks. About 70% of the land on Mount Tamborine is designated for rural use. Horticultural activities give Tamborine Mountain its green, unspoiled character: one of the reasons for the large numbers of tourists who visit here.